Bindis have been worn in our country for countless years and every Indian girl can identify with wearing one, at least sometime in their lives. 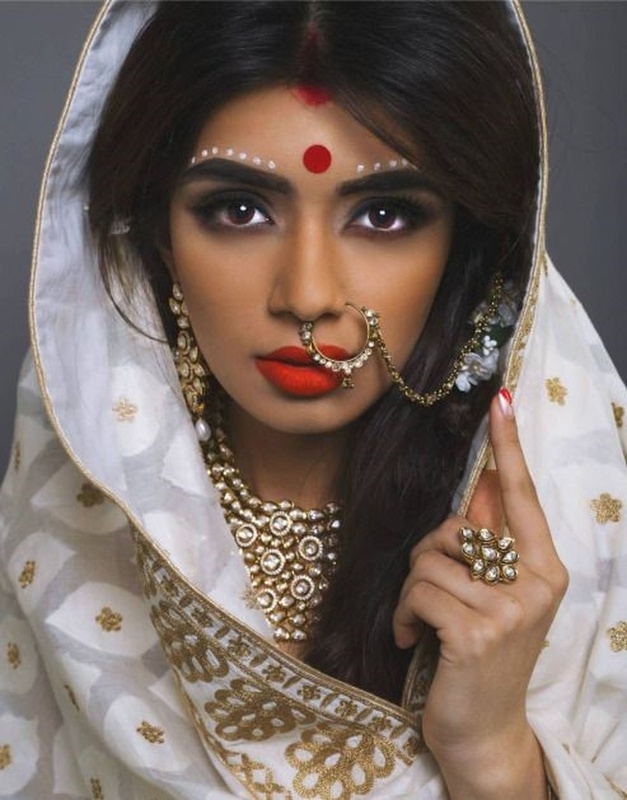 Though are mums probably wear one regularly, we 21st century girls reserve the look for when we’re feeling especially ethnic, to make a fashion statement, or of course when we’re tying the knot in all our bridal glory. More often than not, what we pay attention to while selecting a bindi is the colour, the pretty motif or maybe we just like it because it’s a celebrity knock-off. But what is seldom kept in mind is whether the shape of your favourite bindi would match the shape of your face. Basically, it’s all about proportions. For example: a healthy woman is advised not to wear large prints as it would only make her look larger. Likewise, the same equation applies to your face. You wouldn’t want to end up picking a bindi that wouldn’t flatter your facial proportions or accentuate/diminish a feature the wrong way. So here’s a guide to all you need to know about finding just the right bindi that’ll blend perfectly with your gorgeous features! Girls with round faces should avoid going for large, circular bindis as they will only make your face look rounder. Vertical bindis would look great on you they lengthen your face and give an illusion of angles, balancing out your features. But if you do happen to find a circular one that you happen to love, only go for it if it relatively small in size. Heart – shaped faces tend to have a broad forehead, slightly wide cheekbones and a narrow chin. Any kind of big bindi should be avoided as they will only make your forehead look larger. Instead, opt for small ones in a flattering design. We recommend you to go for small and simple circular bindis. These can be identified by a smaller forehead, defined cheekbones and jawline with a pointed chin. You have the freedom to experiment with most types of bindis. Though, we suggest you do stay away from very sharp designs as too much of angles isn’t a good thing either. Equally proportioned forehead and chin with a slightly wide set of cheekbones? Well, you have the globally ideal face shape! What are you even doing here? Go flaunt whatever you wish to, you lucky person. If your forehead, cheekbones and chin are all of the same width, then you have a square face. Also can be identified by sharp edges, strong cheekbones and a broad jaw. The goal here is to soften a few of those edges so we would advise you to opt for bindis that are circular. Any size works! Though, we think you’d be able to pull off a large statement bindi the best. You could also try out half-moon shaped bindis! Avoid geometrical bindis at all costs.